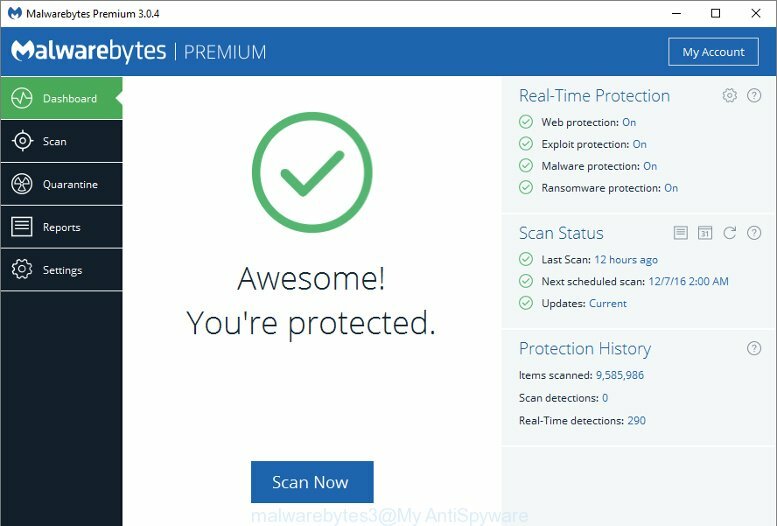 Use the following instructions: How to use Malwarebytes Anti-malware. your software’ will rid me of it’. Thanks for the link. Great tool.